3D Beaded Tree: This interesting Beaded Tree is made with glass beads and wire and is able to fan out to create a fir tree shape. It is a self standing or hanging decoration and adds a sparkle to your Christmas table or tree. A variety of beaded colours are available. 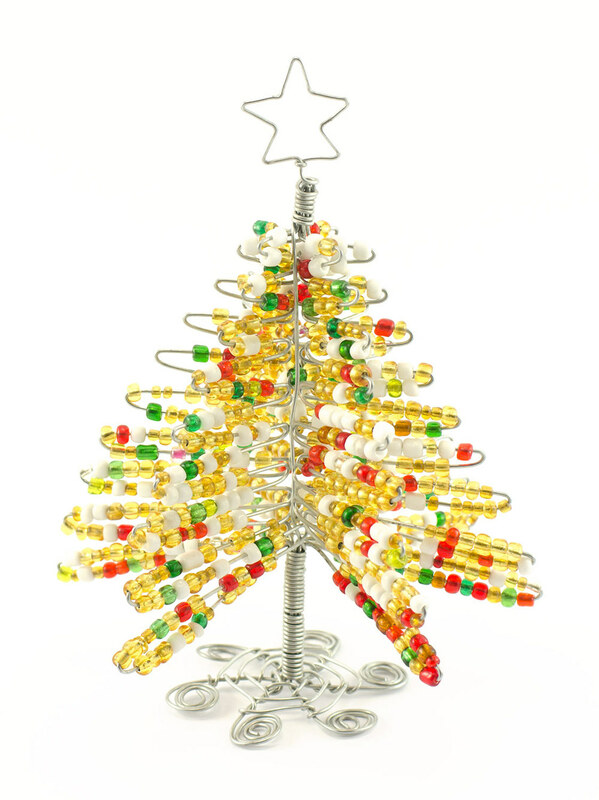 2D Beaded Tree: These bead and wire trees are very popular. Beaded in combinations of striped glass beads with wire spirals embellishing the tree. 2D Beaded Tree with Star Top: A tree decoration with a star top and matching beads and scooby wire around the base trunk.